Fort McHenry | Brush off the dust! History now! Student drama brings War of 1812 home – baltimoresun.com. 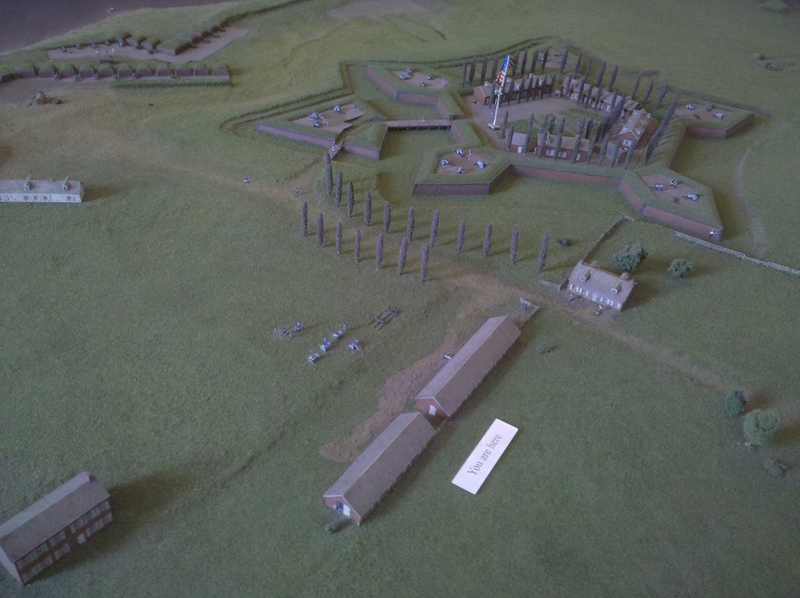 A model of the fort as it appeared during the War of 1812. The cast and crew, all sophomores at the Mount Vernon school, researched the archives at the Maryland Historical Society for insights into the war that many call the nation’s second struggle for independence. They visited the fort several times and drew characters from ordinary people, rather than from the few made famous by the war. The effort of developing a character based on a historical person, requires research into the primary sources available for that person. It requires leaving behind one’s own world and trying to access the strangeness and differences of another culture. While local Marylanders may be well-acquainted with life by the Chesapeake Bay, the world of Maryland during the War of 1812 is still a foreign land, beholden to rules of a different era and expectations that have been left behind in a pre-Civil War/pre-Civil Rights, pre-WWI/pre-WWII America. Their research unearthed one Maryland militiaman’s letters home, accounts that inspired one of the scenes. Alexandra Morrell, clad in a floral dress that designer Erin Beuglass had created from a curtain, read her husband’s letters to their daughter as their enslaved servant girl shared their concerns. Students developed a love story subplot between the servant and the household’s enslaved wagoner. The scene ended with the young man pleading with the girl to run away. “It will be hard for her to leave the family, but I think she will run off with her man to freedom,” said T’Pre Mayer, who portrayed both the girl’s hesitation and her love. The conflict of 1812, is also a different type of conflict, in many ways, than what we have become accustomed to in the modern U.S. The War of 1812 is the only war visited upon the United States, and outside of Pearl Harbor and 9/11, the only time the United States suffer attacks among the states, themselves. One has only the Civil War and the colonial wars (and the Indian wars) to turn to for a similar sense of foreign aggressors in and among American homes, cities, and waterways. Such insights fulfilled instructors’ expectations for the project, said Norah Worthington, a costume design teacher, who wrote a pirate scene and worked with the 24 sophomores involved in the production. The drama helped the teenagers understand the local significance, too, she said. “The scenes played out on streets these students walk every day,” Worthington said. One scene focuses on the riots that broke out on city streets. Again, the students presented a new perspective — that of an assertive woman. Calla Fuqua played the normally docile wife of a shipping merchant, prompted by the war to disagree publicly with her husband. Their encounter occurred on Charles Street, where she finds him safe after a night of rioting. This is a new day for these students, many of whom may have had no interest in history before the project who have now experienced it on multiple levels: 1) they have experienced researching history–just as historians do–with primary sources; and 2) they have created an experience of the historical era through their performance, introducing themselves and viewers to the people of a foreign time in our community’s history; introducing them to the concerns about conflict; introducing them to the mores of a society that continued to grapple with slavery, a young government, and other problems that we sometimes struggle to relate to otherwise. We should be doing more of this sort of learning. Take the talents that students have or are eager to develop and make use of them in education. 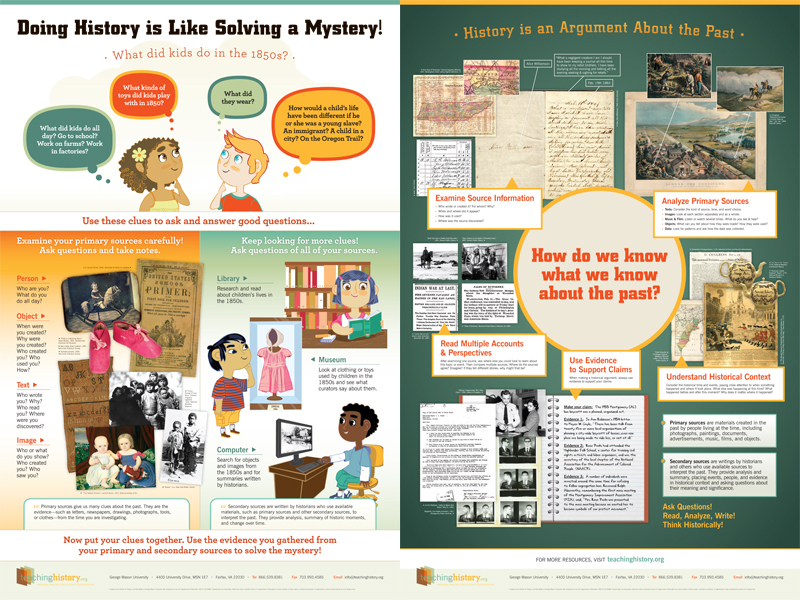 History and Tourism: What are you learning on Vacation? She was stunned! She had to pay a pile of money and take an exam, but that basic fact had alluded her–a fact that could be confirmed by one’s day-to-day experience and occasionally following the news! (I have an unsubstantiated theory that this myth came about from the flag at Buckingham Palace that supposedly only flies if the reigning monarch is at home.) At least, she was friendly. These umbrella-toting guides–part of the bona fide badge of honor to designate that you were a licensed guide, or that you thought it might rain later–were often extremely rude to anyone who was not in their horde and sometimes to folks who were paying them! Working with the Close Up Foundation, we often took students to the Mall and were continually amazed at the umbrella-tour guides because of their consistently unpleasant demeanor and the content of their spiels. 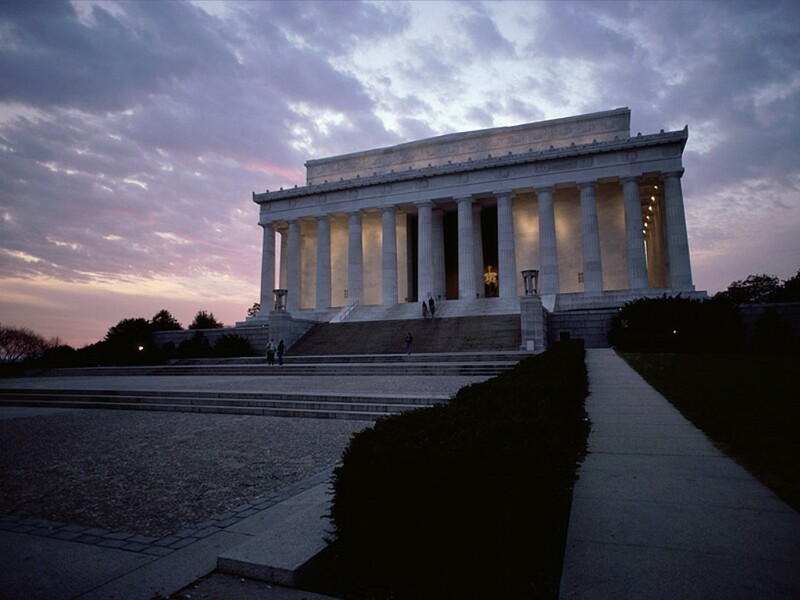 The Lincoln Memorial, built in 1964 and designed by John Paul Stevens, commemorates the life and accomplishments of the 54th president of the United States. IF YOU SPOTTED the numerous errors in the sentence above, you may have a future as a District tour guide. If you did not, the D.C. Department of Consumer and Regulatory Affairs wants to keep you from making a living by ripping off visitors. The Lincoln Memorial, completed in 1922 and designed by Henry Bacon, commemorating the life of the 16th president of the United States. As the editorial points out, the goal is a noble one, but as is so typical of D.C. bureaucratic solutions the overhaul of the current program, not revised since its inception in 1902, fails–miserably. While it usefully extirpated archaic rules requiring a doctor’s note to prove a prospective tour guide was not a drunkard, it also requires tour guides to speak “proficient English,” a rule that might be useful for the tourist from Iowa, but much less helpful for the tourist from Germany. Beyond passing the 100-question test required for the license, what actually tells the prospective client of a given tour guide that they are actually knowledgeable? 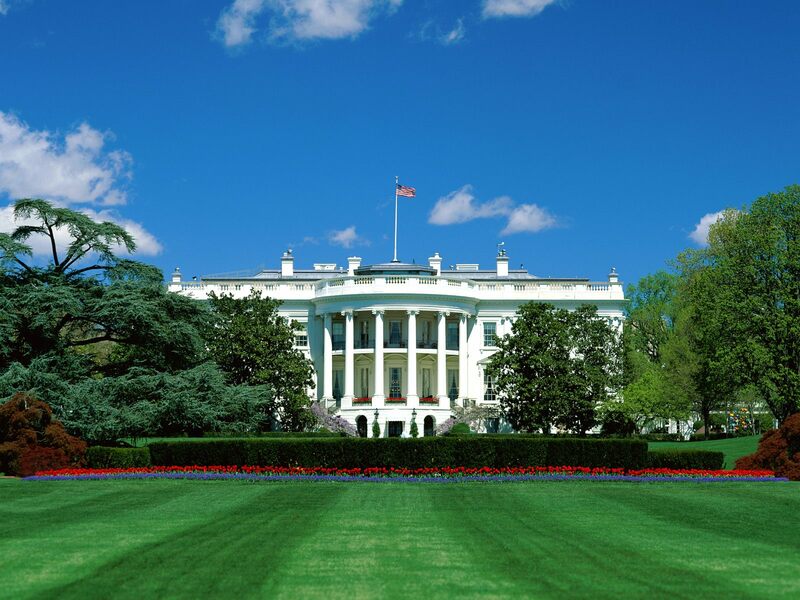 The previous exam could not keep the White House flag-myth from seeping through, what will this exam prove? To the cynic, this appears to be a means for increasing revenue through the tourism industry by trying to ensnare bus-drivers and segway tour operators. Bus drivers who speak to their passengers, even with an audio tour, about the city monuments are potentially required to be licensed if the vehicle is in motion–but not if it is stopped(? )–according to the characteristically unclear language of the law. New regulations also require guides that use “self-balancing personal transport vehicles,” segways, to obtain licenses. The owners of one such company, Segs in the City, is suing the city over the new law. At the end of the reading, it is not clear to me what the city hopes to achieve with this law. 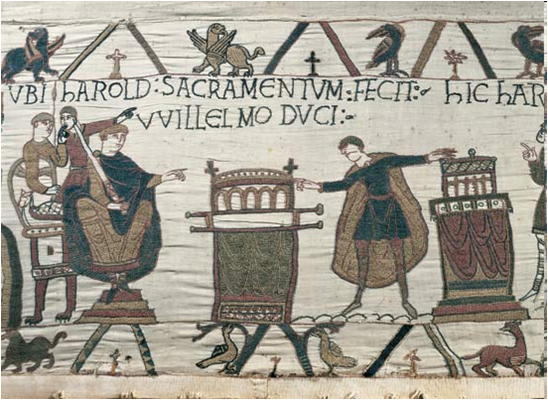 As a historian, I see no reason to be excited. So, what should one expect from a tour guide? Is it merely entertainment in a new city? My first tour guide mentor, Mark Farrell, always maintained that a tour was supposed to be factual in content, helpful in logistics and entertaining. I have given tours in two places: Washington D.C. and Scagway, AK. 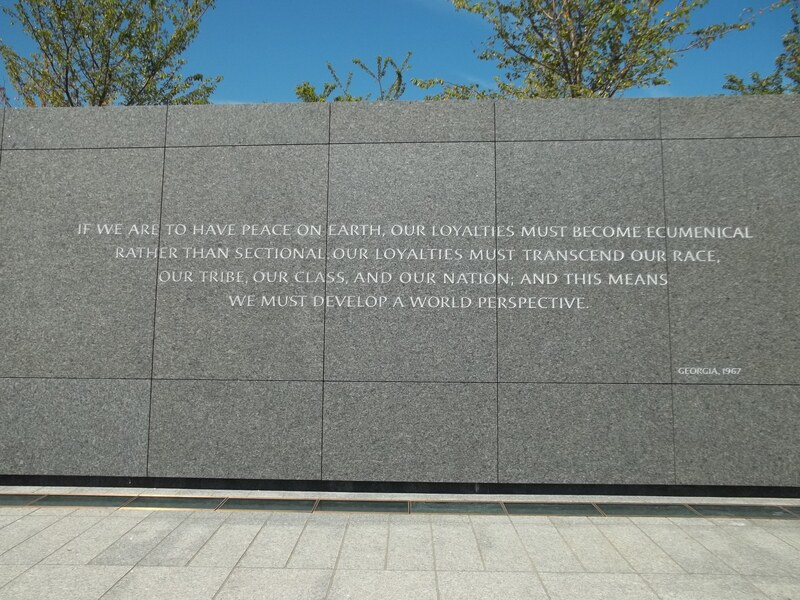 In the former case, the history is both inspiring and often moving. 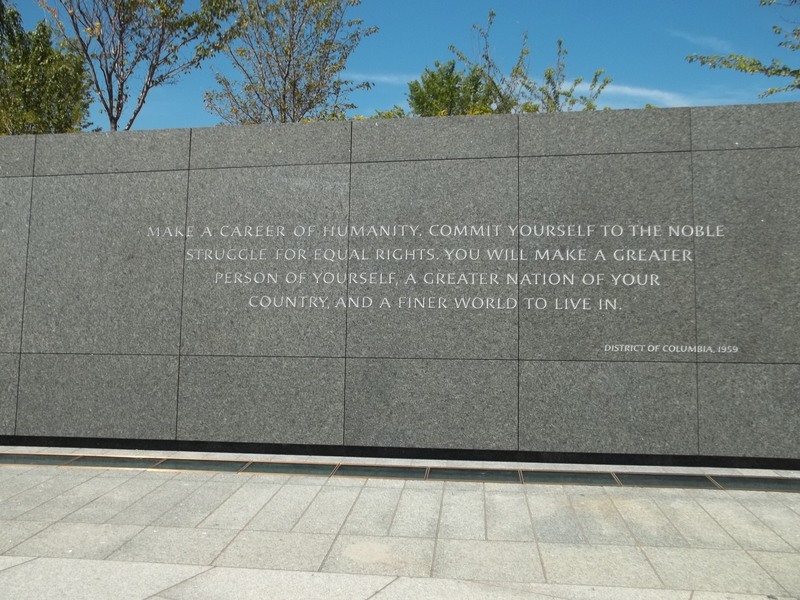 Not only does one visit monuments to famous and inspiring, yet often controversial, figures, one also visits locations that were the sites of famous and inspiring, yet often controversial, events. In the latter case, I worked for Sockeye Cycles at one of the important sites in the Alaska Gold Rush and the history is both fascinating and raucously entertaining. Accuracy was important to me. (Sockeye, as a business, valued historical accuracy more than Bike the Sites.) But, entertainment seemed to be the trend–I don’t know of any fellow guides in Scagway who were history majors! Financially, entertainment was key, most people tipped better if they had laughed and parted company with their guide in an enthusiastic and upbeat mood. Again, what do customers really want in this instance? In Barcelona, last spring break, we took a Fat Tire Bike Tour and had a great time, getting to see some things that we probably would not have been able to fit in any other way, all in a couple of hours. 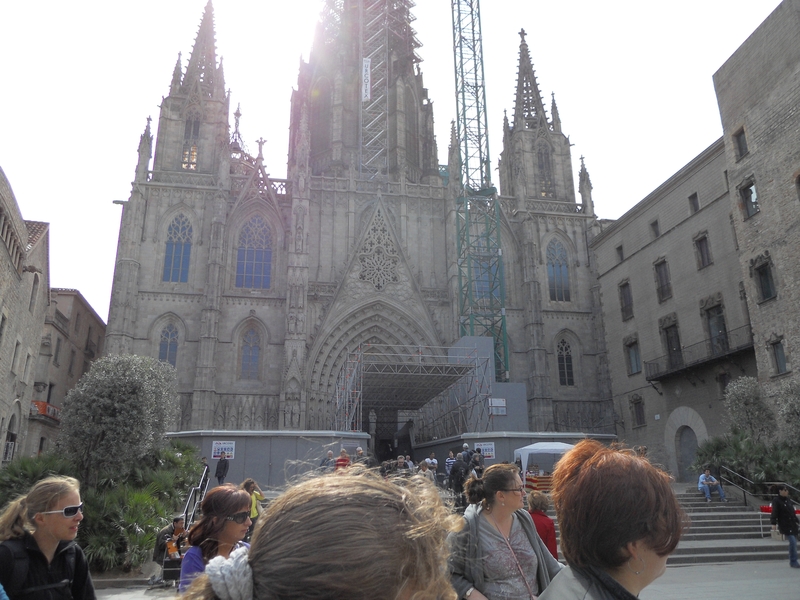 Had we not done it, I don’t know how we would have managed to see La Sagrada Familia by Gaudi or the city park, but I am not going to lie: I really cringed inside when the guide explained that the Cathedral was a cathedral because it had a dead saint’s bones in it! The church is a Cathedral because it is the bishop's church. We all enjoyed the tour and the guide was entertaining, but it failed to sate my appetite for Barcelona’s history and I later visited one of the city’s museums–not far from the cathedral, actually–and, learned a great deal more about its origin in Roman times, its medieval history and its transition through the modern era. As it is, I am still trying to piece together Barcelona’s history. “General, when is it appropriate to resort to arms to fight for our liberty?” asked a tourist on a recent weekday during “A Conversation with George Washington,” a hugely popular dialogue between actor and audience in the shaded backyard of Charlton’s Coffeehouse. The tourist, a self-described conservative activist named Ismael Nieves from Elmer, N.J., nodded thoughtfully. Afterward, he said this was his fifth visit to Colonial Williamsburg. I wonder how often history really motivates Americans when we plan our vacations. Clearly, there are Civil War buffs who visit Civil War sites and the National Park Service maintains many historical sites, but buffs come already knowing something and I sense many other people just want a good story–one they will repeat, but not necessarily one they require to be perfectly accurate! Americans are really lucky to have a great number of wonderful places to visit, within our borders, that have little to do with history–visiting the Grand Canyon may actually remind us just how short a historian’s domain is in the earth’s grand story. So, does real history motivate many vacationers? I know more than a few tour guides who would bet that a good yarn is better than real history for most visitors and I think they may have the pulse of the average American tourist. Satellite view of Fort McHenry. I have lived about six miles from Fort McHenry for just over two years but only visited it for the first time today. (Don’t judge me! It’s been a hectic couple of years—a goodly chunk of it was spent in DC!) I thought I would share some of the particulars about visiting the park. I do this for a couple of reasons: Firstly, in a couple of years we will begin the celebrations for the Bicentennial of the War of 1812—the event that put Ft. McHenry on the map and that Francis Scott Key witnessed, stirring him to write the poem that is today our national anthem. 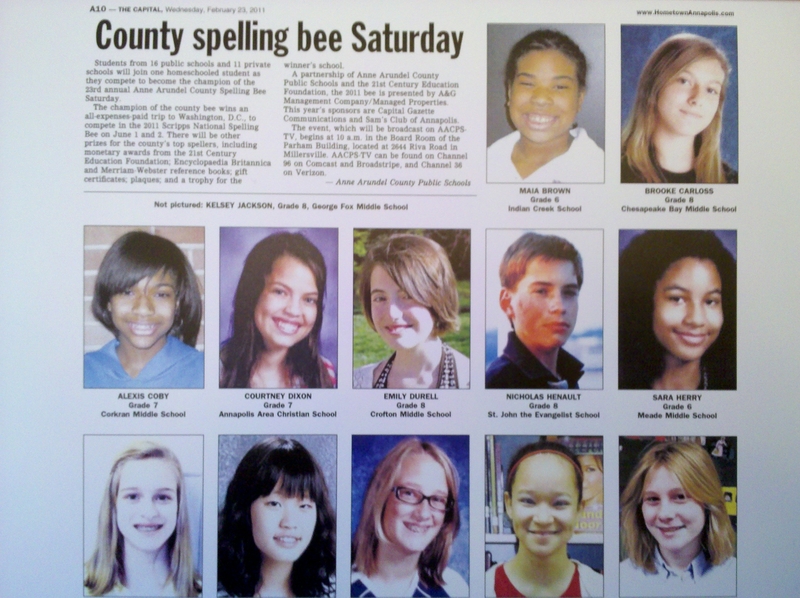 Secondly, it is precisely the sort of local flavor that I want to occasionally season the blog with. Besides, it seems like the right sort of post as the summer boils away. To start, I wanted to cover some logistical points. Most weekends do have a planned event. That said, we went on a Tuesday and there was hardly anybody there when we first arrived, which was kind of nice even though we failed to beat the heat. Also, the changing of the flag ceremony (held at 9:30 a.m. and 4:20 p.m.—participation encouraged!) is one of the few events going on daily, weather permitting. While parking is free, it is a $7 entrance fee for ages sixteen and up. Technically, if you’d like to save the money, you can show up and simply walk around the fort, taking in the earthworks and the view from the point. To get in the fort you pay at the visitor center and receive your sticker, which must be visible. (Once purchased, they will give you two receipts, one of which is actually a seven day pass that is good for the subsequent six days.) There is a small exhibit, a short film, a typical gift shop and restrooms. From there you can walk out to the fort. There is a small food stand with hotdogs, chips and beverages, but we packed a lunch and ate at the picnic tables in the shade right next to the parking lot. 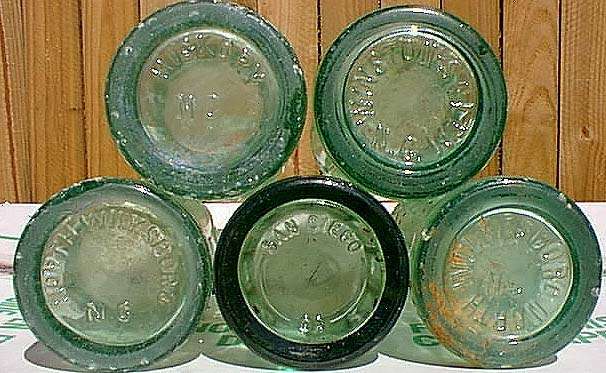 Once you are on the fort grounds there is little cover from the elements, so come prepared for them—fortunately, we had some Gatorade in the house to slightly appease the group who had a smaller appetite than I for guns and fortifications under the August sun! The fort itself was in use up through the twentieth century. It was decommissioned after WWI, according to the volunteer answering my questions, and was temporarily used as a training site for the Coast Guard during WWII before it was returned to the city of Baltimore and became a National Park. So, the fort, in its current design and construction, is not exactly as it was in 1814 when the British showed up to attack Baltimore. In 1814, all of the fort’s buildings were single-storied and the outer works were not quite as built up as they appear today. But, the star-shaped configuration had been paid for by the wealthy citizens of the city of Baltimore—particularly a man by the name of McHenry! (As the guide told us, McHenry figured he put enough money and work into it the fort ought to have his name, thus, foreshadowing the process for naming stadiums all over America.) 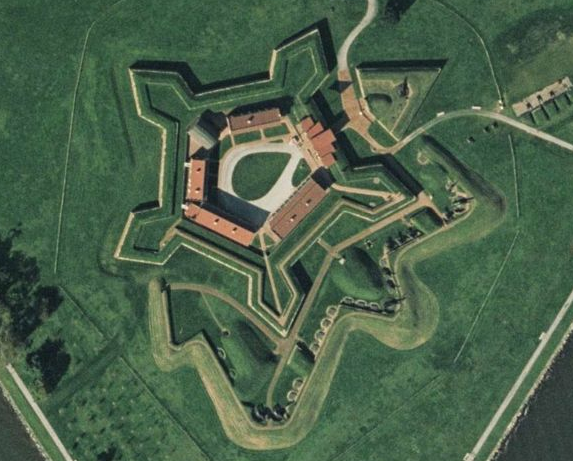 The star-shaped design is critical for the fort’s survival. The brick prongs are reinforced with the earth behind them. Each prong is both pointed and sloped to reduce the effect of incoming projectiles—every hit is a glancing blow. Eliminating a direct hit helps thwart enemy artillery (canons), but it also turns the ground around the fort into a nasty meat grinder for infantry (soldiers on foot) or cavalry (soldiers on horseback) because the approach is in between the prongs or over them, giving all the advantage to the defenders. In the case of Ft. McHenry, it did not come to this. Rather, the fort was only attacked by the British navy, which was forced to fire mortars and rockets from just beyond the range of the fort’s guns. Both of these weapons had the advantage of sending their projectiles up into the air and then falling into the fort, but they did not succeed in defeating it. In fact, according to the film only four men died, twenty-nine wounded. The British gave up and sailed down to New Orleans only to come up short against Andrew Jackson (whose role in the victory would propel him into the presidency). The film concludes with a waving flag and the opening strains of our anthem. At this point, dramatically, the blinds pull back and reveal the fort with the flag flying. Everyone stood, many of us thinking that the film was at its conclusion and preparing to leave, but a slightly bossy septuagenarian had walked into the room and ordered us to turn, face the fort’s flag, put hand over our right heart and, “Sing along!” I, at least, was unaware that the entire anthem was about to blaze forth. What could have been a rather moving moment of patriotic warm-fuzzies was somewhat spoiled with feelings of having just been scolded by a grandfather or ordered by a drill sergeant. Then he instructed us to follow him for a quick presentation in the exhibit space—which was perfectly enjoyable—but, I feel that this could have been a fully positive event if the film had included a disclaimer telling us at the beginning what they expected or that the presentation would end with the singing of the anthem. (“Please, join us in singing . . “) I do not think the dramatic effect would have been lost, just the feeling that we’re doing something wrong or being bullied!